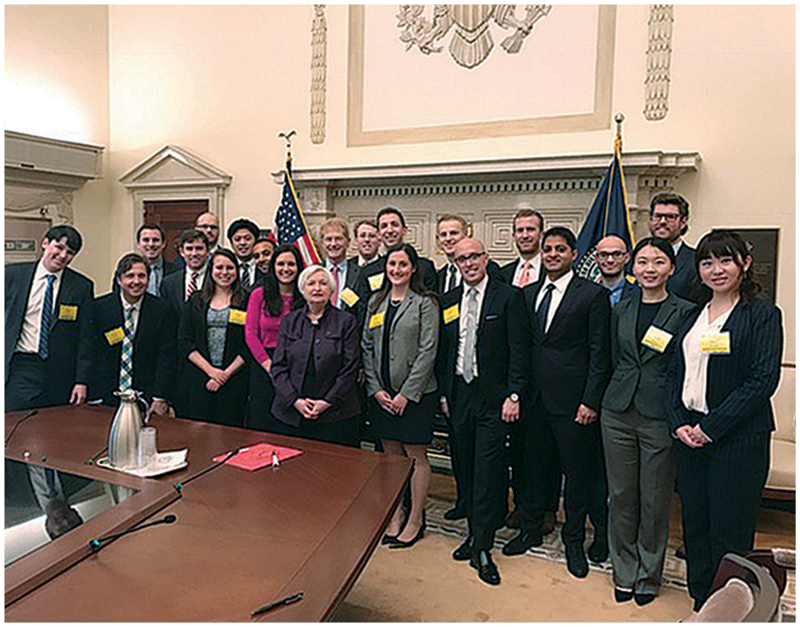 Students on Professor David Parsley’s DC Trek in April met with several notable economic figures in the nation’s capital, including Federal Reserve Chair Janet Yellen, who shared perspectives on leadership and monetary policy. The trek is open to students in Parsley’s Business and the World Economy and Seminar in Monetary and Fiscal Policy courses. The immersive experience also stopped by the World Bank to visit with William Mahoney, one of its top economists, as well as the International Monetary Fund, to meet with another leading economist, Prakash Loungani.